Bump. Bump. Bump. Bump. Five pages later: bump. bump. bump. bump. Ah, the joys of the pound chat (PC) board. If you have tried to trade your pets in Neopia, you are well aware that advertising your pets on the PC often consists of bumping your board for pages with nought but tumbleweeds and the chirp of moaches for company. All this tedium just to find that perfectly named, stealthy Cybunny. But what about the board next door advertising an unconverted (UC) plushie Kougra who happens to have a 5-letter name? This board is riddled with good luck bumps and "what a beautiful pet" remarks! Could it be that this extremely popular user's neofriends are all online at this moment? Or does the pound chat discriminate based on pet value? I have often observed users remark that they get treated differently based on the "value" of their active pet. Of course, the value of a pet is completely subjective and a red Shoyru named Xx_coolpantsneo2007 is just as deserving of love and regular attention as an extremely rare and sought after pet such as a well-named UC royal girl Aisha. If you covet your lovely red Shoyru, all the more power to you, and please do not be offended by this article! It just so happens that over time, based on rarity and popularity, the PC has divided pets into different tiers of worth. Thus when I speak of pet value, I am speaking only in PC terms, where pets assume status based on their color, name, and conversion status (converted or unconverted). First, pets with more expensive paint colors are considered more valuable. 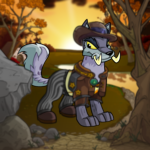 Since it takes several million neopoints to paint a pet maractite, Maraquan, or pastel, these pets are worth more on the PC than a Christmas or checkered painted pet, which cost a fraction as much to paint. Second, a pet with a name format of "Xxxxx" such as "Zyalar" is considered "well-named" and is thus more valuable than a pet with underscores, random capitalizations, or numbers in its name, such as a pet with a name of "Xx67_Nabileisnumba1". Finally, due to their rarity and unique art, PC-ers typically place greater value on unconverted pets than converted pets. Within unconverted pets, mutants are usually valued lowest, then Darigan and greys, followed by faeries, and finally plushie and royal pets are at the top and valued the highest. I should note that outside of the color, name, or conversion status of your pet, fellow Neopians may judge a user on various other status markers. For instance, in the Battledome Chat, how strong your pet is or how expensive your battledome set is may determine whether you are an "elite" player. In the Avatar Chat, the number of avatars you have or the rarity or difficulty of attaining your active avatar may influence the amount of respect you receive. On the Customization Chat, surely your fashion savvy counts the most. Other markers of status on Neopets include trophy count, account age, coding or art skills, and the list goes on. In this article however, because the PC is typically my board of choice to lurk, I am most interested in status based on pet value. I seek to explore the question: Does the PC discriminate based on active pet? To answer this question, I conducted a poll on the PC with the subject: Do you get treated better when you have a more "valuable" active pet? I was astounded at the flood of responses I got to this question. One user quickly answered, "Absolutely. If I have a lab pet on this account and make it my active, people tend to be very blunt and standoffish, whereas with my other pets, everyone acts like your best friend. Its unfortunate, but true." Several other users agreed: one user said, "Of course people do, just like [people get treated better] in real life for looking better," and another user concurred, "Yep, and anyone who says they don't judge people on actives are lying to themselves. It's an unconscious judgment." One very concise user simply remarked, "Yeah. Lame." One self-aware user even expressed that she chose her active because she wanted others to think she was cool. I found that users who answered yes often had stronger responses than users who answered no. Several users remarked that they just didn't notice. For instance, one user said, "Nope. I get ignored either way." Another user remarked, "I think it just depends. I mean, why should people treat others nicer, they should all be treated the same." The board containing my poll reached ten pages and I collected data from 55 individuals total. I found the following results: 28 users (51%) answered that yes they felt they were treated better when they had a more "valuable" active pet, 19 users (34%) answered no, and 8 users (15%) had mixed feelings or were not sure. (For statistics nerds out there, a chi-square analysis of the yes and no responses yielded a p of 0.19, which is not statistically significant. Sample size may be an issue.) From this unofficial poll, no overwhelming consensus was reached but evidence points to yes, active pet may play a role in the amount of respect you're afforded on the PC. To gain the most pleasant experience on the PC, it may be in your favor to choose your rarest, most valuable pet to set as your active. But in my opinion, whatever pet makes you happiest should be your active, whether or not the PC appreciates him or her as much as you! Long ago, when Hibiscus was just a young Lutari, her home island had been one of Neopia's hottest vacation spots. "Please..." she begged, peering into his face with desperation. "What is it, Master Iko?"